To have or not to have a chimney cap, that is the question. Chimney caps are a relatively small investment yet many homeowners wonder if they need one or don’t even think about it all, for that matter. The reality is that this small addition can prevent major issues down the line and, in effect, save the homeowner a substantial amount of money in preventable chimney repair and damage. While it might not not be an immediate need, you can prevent future stress and expenses by having an professional chimney service company properly install chimney caps. Chimney caps help to mitigate moisture, keep animals from coming into the home or making their homes in your chimney and protect your roof from stray embers that could potentially start a house fire. Various birds, rodents and small mammals have been known to take up residence in chimneys or use the chimney as a point of entry into your inviting home. In the colder seasons, animals will feel the warmth radiating from your chimney and will make their nest in small spaces near this warmth. 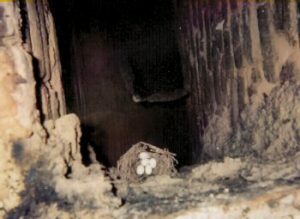 In the warmer months birds may find their way into the temporarily dormant chimneys to make their nests. It doesn’t take very long at all for these nests to be completed, and it is easier to prevent this from happening than it is to remove them once it’s happened. Installing a simple chimney cap with mesh siding will prevent these animals from making themselves at home. When birds and squirrels build their nests in chimneys, it is also possible that the space that usually allows smoke and gases to escape the home can get backed up, and that smoke and gas may end up back in the home. This can cause smoke and soot damage and even carbon monoxide poisoning. 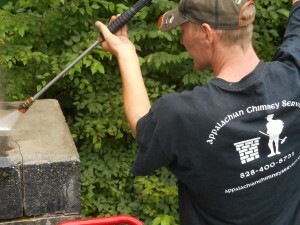 Using a chimney cap is the #1 way to keep unwanted animals from staking claim to your chimney. Moisture can be one of the biggest enemies of a home. Moisture causes mold in homes and deteriorates structures over time.. Chimneys can be dark and dank and moisture can accumulate in the chimneys causing long term damage. Snow and ice is especially damaging to chimneys and can crack the chimney walls and masonry leading to expensive repairs. Why not prevent this all from happening with the small adjustment of having a chimney cap? The danger of stray embers. This one is a no-brainer. 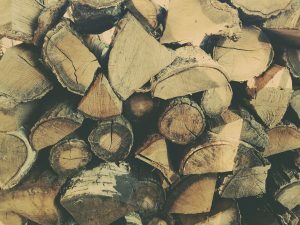 Embers can travel great distances, but your roof is the closest thing to the chimney so in a wood burning fireplace, stray embers can prove to be a grave danger for homeowners. House fires can be a homeowners worst nightmare and can be easily avoided with the proper installation of a chimney cap. What are the cons of chimney caps? Homeowners often question whether chimney caps can cause problems with the chimney draft. The truth is this can happen, but only if the chimney cap is not properly installed. This is why it is important for a professional chimney sweep to perform the job. Homeowners can rest at ease knowing that a well reputed, professional chimney service company has correctly installed their chimney caps. In addition, there are also brands of chimney caps that are specially designed to prevent draft problems. Having a higher quality product as well as professional installation should ensure a smart addition to your home. Be sure to do your research and check reviews of both the product and the chimney sweep so that you know you will be adding value to your home that will protect your home and your peace of mind. Hopefully, this has helped you to determine whether a chimney cap is right for you and you may be ready to purchase one for your home. While your average home improvement store will carry chimney caps for a good price, you will want to make sure that you do not choose a cheaper aluminum chimney cap that will not provide sufficient protection from animals, elements and embers. Check with your local chimney sweep to get the best recommendations. Most chimney sweeps will recommend a quality metal such as copper or stainless steel as they are a higher quality and will last you much longer. Furthermore, if you have a multi-flue chimney, the chimney sweep may recommend that you purchase a large cap that will fit over all of the flues versus multiple smaller chimney caps. Having professional advice and installation will also add to the overall aesthetic of the home. If you are in the Western North Carolina area, we would love to answer any chimney service questions that you might have. Please feel free to give us a call anytime at 828.400.8731 or email us here. Are you one of the many homeowners neglecting their chimneys? While your chimney provides architectural interest to your home and creates ambience during the colder months, it is critical to note the primary function of your chimney: to safely carry toxic gases up and out of your home so that your air stays breathable. Much like a vent or window, your chimney has a serious job to do– and it requires special care to work efficiently. Incorporating a rigorous chimney care routine will help keep your chimney working properly and protect you against the dangers of chimney fires. In the United States, chimneys cause roughly 25,000 residential fires every year (see the statistics). A healthy and clean chimney is the best way to protect yourself, your family, and your home against accidental chimney fires. In this blog post, we will discuss how chimney maintenance can help you protect against a fire. It seems implausible for your chimney to catch on fire– it is just a stack of bricks, right? While this is true, your chimney is much more complicated than a stack of bricks. 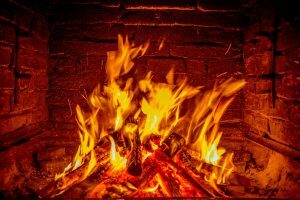 Every time you burn a fire in your fireplace, soot, creosote (a flammable carbon byproduct), and other debris build up within the flue liner. Without regular cleaning, this debris can ignite and cause a devastating house fire. The best way to prevent chimney fires is to keep your chimney clean and stay on top of your annual chimney maintenance. Your annual chimney maintenance starts with an inspection. National Fire Protection Association (NFPA) recommends that you have your chimney inspected once a year. Keep in mind that if you live in a cold region, chimney inspections may be in high demand- so schedule yours accordingly before the cold weather and wood-burning season sets in every fall and winter. A good rule of thumb is to schedule your inspection for around Halloween. You could also choose to schedule an inspection around the time your kids go back to school! Your inspection will give you a clear picture of your chimney’s health and your next steps. 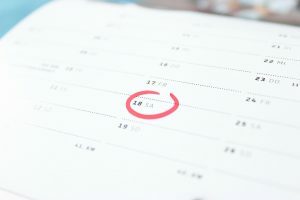 After the inspection, it is time to schedule your chimney cleaning. 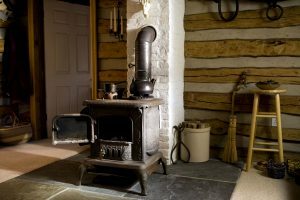 Yes, you can clean your chimney yourself- but it is difficult for an untrained individual to acquire the right tools to clean their chimney to the recommended standards. Hiring a chimney sweep is often the best answer. These highly trained professionals know how to work indoors in a way that maintains the cleanliness of your home. This prevents unfortunate accidents that can pollute your indoor air and cause a mess. A chimney sweep carefully draws smoke out of your chimney and removes any creosote deposits from your system. You can enjoy your fireplace and stay safe at the same time. Simply be proactive about your chimney maintenance and take precautions to minimize your fire risk.